I bought these bikes with the intention of building a race bike for AHRMA. Unfortunately I got a bad case of the dreaded REALITYitis . I just have too much going on and to many projects to finish. 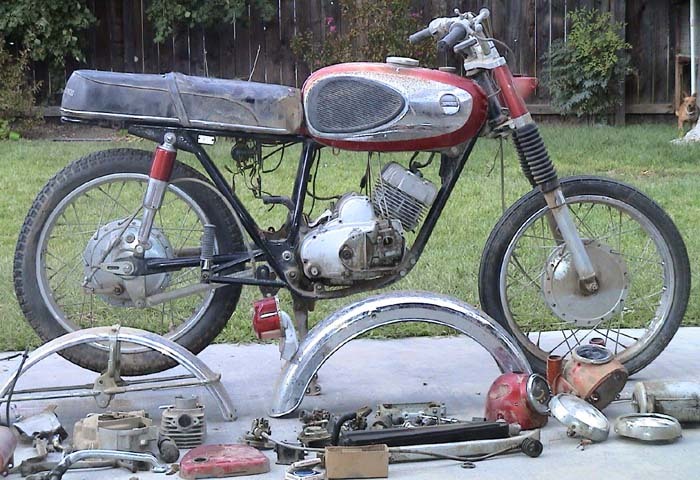 I also know that I would over restore this bike (like I always do) then I wouldn’t want to race it. So it’s got to go. These are very cool bikes! 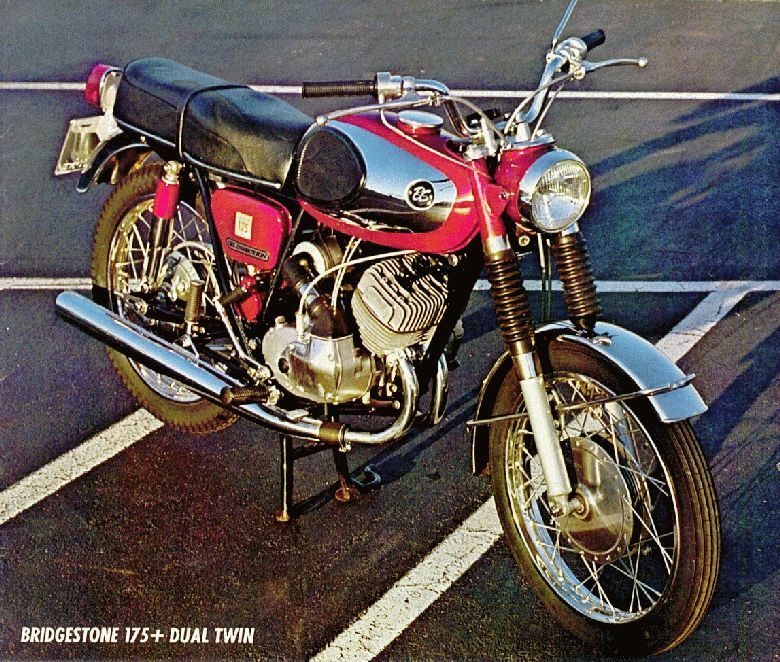 It’s a 2-srtoke twin rotary-valve 175cc, they have a great motor and factory race parts were made for this bike. The “SR” parts are hard to find but all the race tuning can be done to a stock engine. The race tuning instructions are published in most vintage race tuning books (I have them if you need a copy). 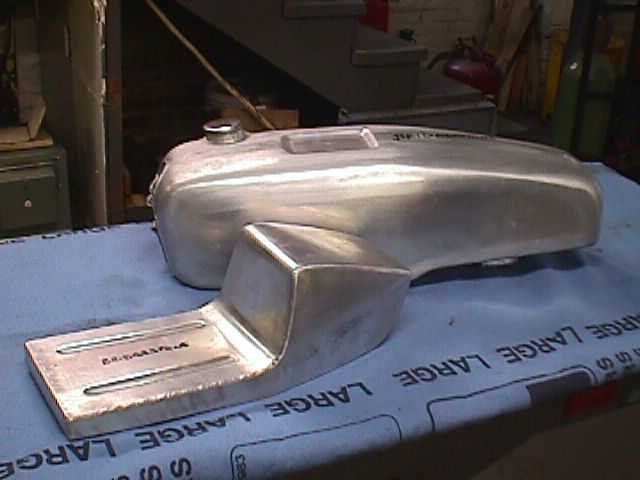 The frames are very light-weight and need very few mods to be race ready. 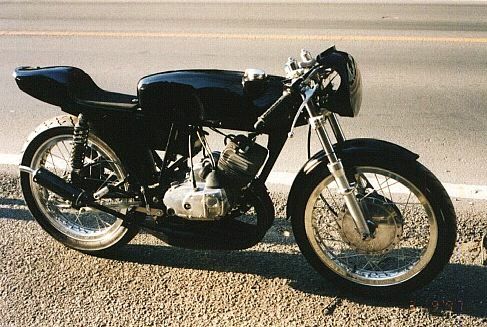 A guy in England makes aluminum race tanks and seats for these bikes (look at the pictures below) but I can’t remember his name (a few minutes on Google should get you his name). The brakes are great and more than good enough for any race conditions. The chrome bore on these bikes make for a very durable top end. 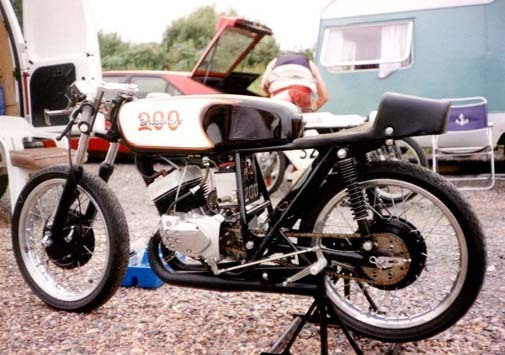 I have seen these bikes race at AHRMA events and they look and sound great. 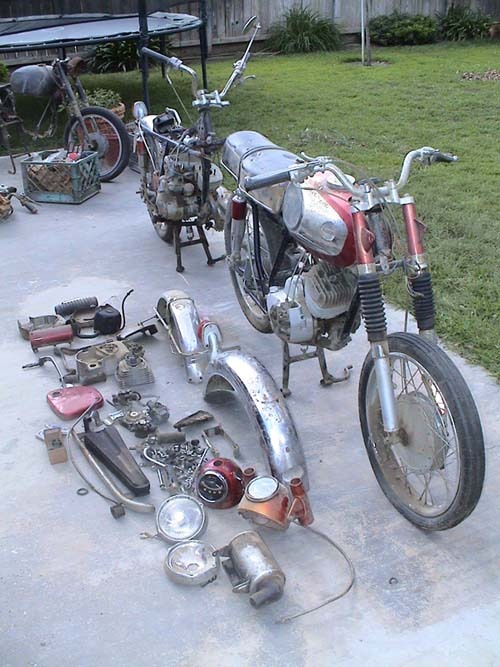 If you want to go the restoration route you’re in luck as there is enough to build one bike. I started with 2 almost complete bikes (one was missing the front end). 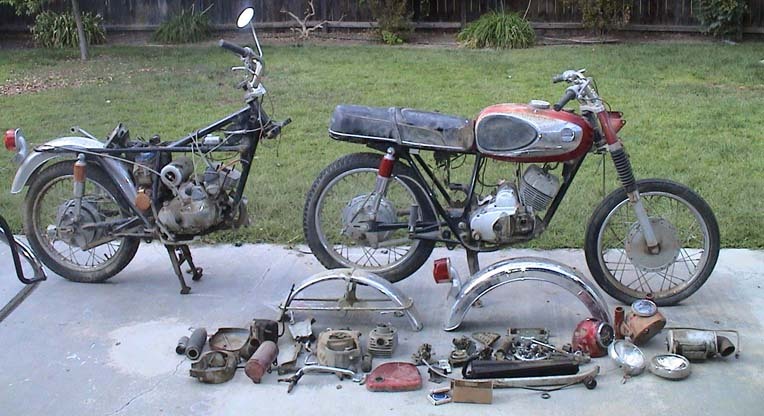 I stripped one to see how much weight I could shed by taking off all the parts I wouldn’t need for a race bike. Please don’t think these bikes are “complete” because bikes in pieces are NEVER complete. 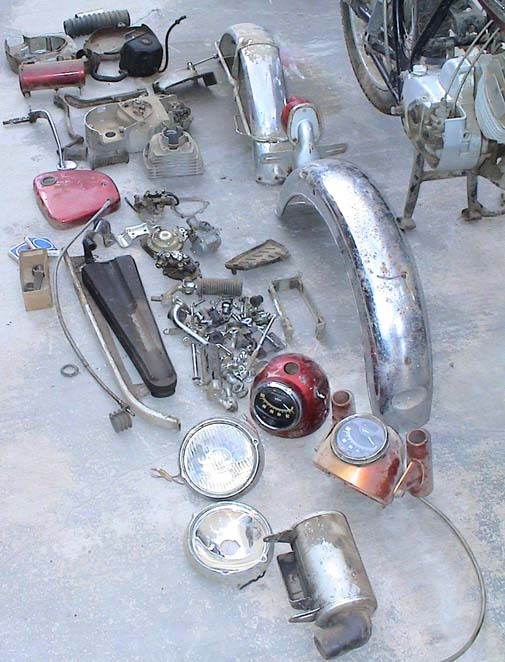 As you put thing together you usually find that some small pieces (especially nut and bolts) are missing, this is just the nature of vintage bike restoration. 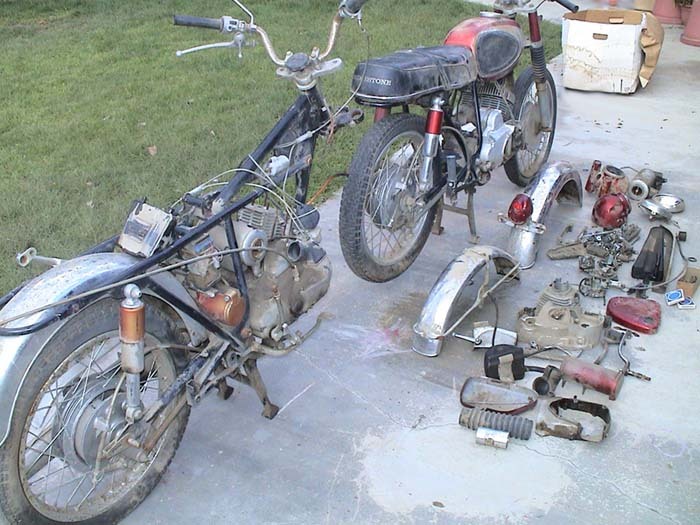 This is not a "clean up and bolt together" project. The motors will need complete rebuilds (obviously). The fork legs are bent. The front fender is dirty but in perfect shape (it may be stainless?). There is a bit of rust but mostly dirty, I cover my project bikes in a nice coat of oil to protect them. 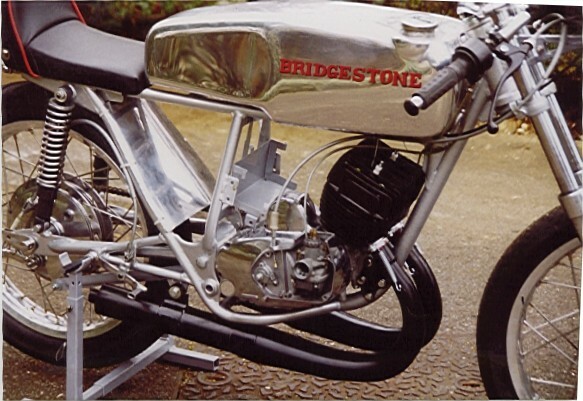 Parts are available from Bridgestone specialist and of course eBay. 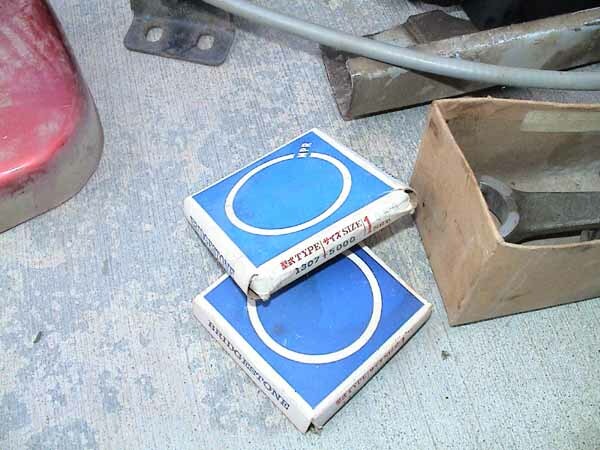 Go Google “Bridgestone 175” and educate yourself before you bid. This is a real load of BS!!! These bikes are in Exeter California (right in the middle, between Bakersfield and Fresno). If you want to see the bikes before the auction ends just email me. Take a good look at the pictures and ask question, because WHAT YOU SEE IS WHAT YOU GET!!! The winner of this action must pay in full within 7 days of end of auction. You can pay with PayPal (there will be a fee according to the fee PayPal charges me) or you can send a cashier’s check or money order. If you want to pay cash when you pick them up that’s fine but you will pay what you bid (don’t even try to barter with me). The bikes must be picked up within a few weeks. I just don’t have room to store these bikes. If you want me to ship the bikes, you will have to pay me for handling and boxing materials. Shipping these bikes will not be cheap! I will only ship UPS. If you plan to have this shipped, contact me, before you bid!!!! Once again, If you plan to have this shipped, contact me, before you bid!!!! If you pay and don’t show up to get the bike and don’t answer any emails, after 4 weeks I will resell the bike and you will NOT get your money back. If you are the type who sends bad feedback without trying to resolve the problem like a gentleman, DON’T BID!!!!! I have been at this eBay thing for a long time and have bent over backwards to keep my feedback at 100%, any monkey business will be dealt with viciously!! If you don’t understand the legality of an eBay transaction, DON’T BID!!! These pictures are for reference only so you can see what is possible with some elbow grease and some cash.